Museum grants opportunity now available! Grants Portal opens on November 28th! FY18 Museum Grants open this year on November 28th. Utah Arts and Museums now offers a three tiered granting system. Our grant guidelines have changed significantly this year, most notably to create general operating support grants for museums. Please see our website to review the guidelines and to see what grant your museum qualifies for. Remember, all museums must be a Utah Certified Museum in order to apply. Not sure of your status? Please contact Jennifer Ortiz, Manager of Museum Services at [email protected] or 801-245-7288. For assistance in setting up your grants portal account, please contact Laurel Cannon Alder at 801-236-7550 or Racquel Cornali at 801-236-7541. Ever wondered what it's like to serve on a UDAM Grants Panel? All our agency's grants are reviewed by a community committee; panelists get to learn about the great museums, arts organizations, schools, and folk artists that call Utah home. While serving on a grant panel, you will get to meet others who are invested in supporting Utah’s vibrant museum and arts community while learning how our grants process works. For more information about becoming a grants panelist, please see our website. To nominate yourself or others to be a panelist, please see our nomination form. Join collections staff from the Division of State History to explore how to conduct a museum-wide inventory. Takeaways include understanding different types of inventories, what you need to get started, and how often you should complete them. Bonus! 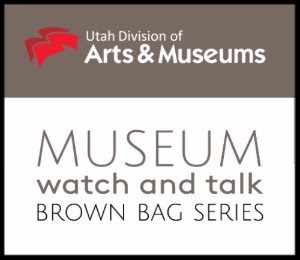 Stick around after the conversation ends for a tour of the State of Utah's historical collections to see first hand what staff has accomplished with their inventory. For more information and to register, please see our Eventbrite listing. This event is free but space is limited!